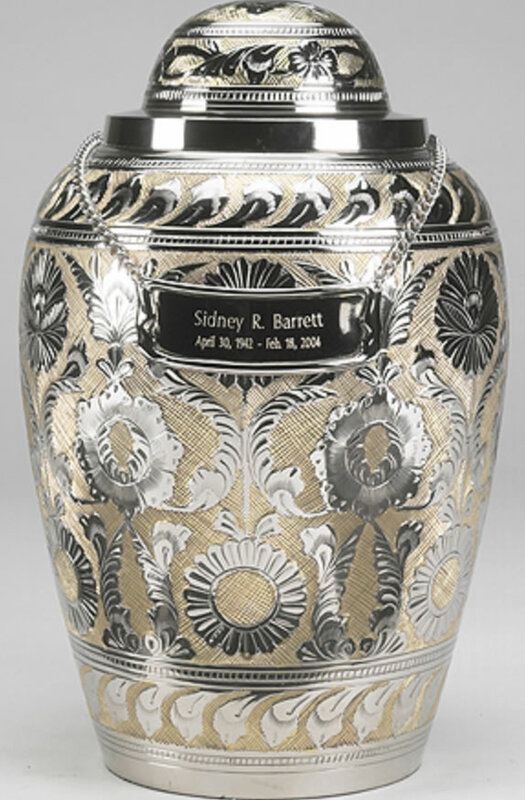 The Dynasty SilverGold Keepsake Urn is solid brass with a hand-etched design over the entire keepsake. It has a threaded lid for easy loading and a secure closure. The felt base will protect furnishings. The keepsake is presented in a velvet heart-shaped case which can be used for storage or transportation.